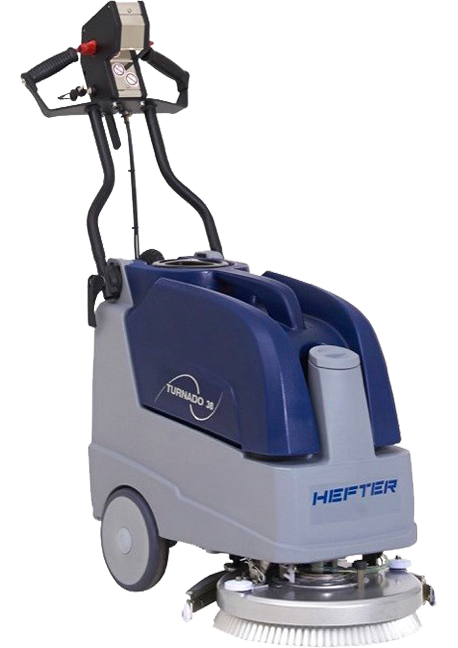 The professional floor cleaning with Hefter cleantech cleaning machines is extremely economical, uncomplicated and effective. Thanks to special technologies and innovative product developments, we can offer a solution for every application that meets all the demanding requirements. 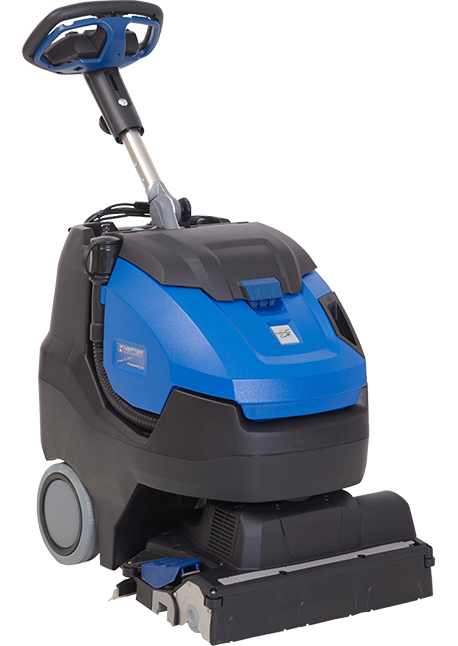 For shops, kitchens or sales rooms as well as workshops, changing rooms or similar manageable rooms we have walk behind scrubber drierswhich also easily cleans corners and niches as well as surfaces under work tables or shelves. 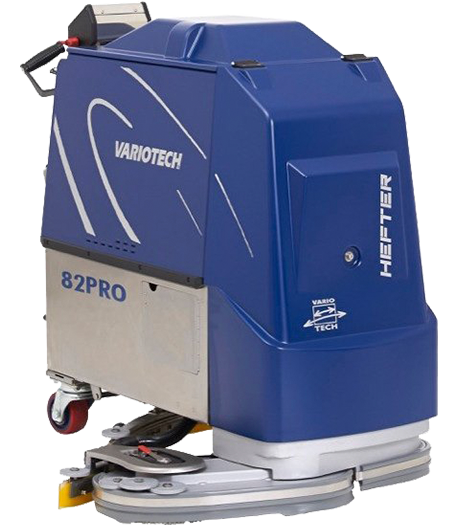 From the agile and light scrubber dryer TURNADO® 35 to the TURNADO® 55 SV swimming pool cleaning machine to the VARIOTECH® 112 PRO, whose variable working width spans up to 112 cm, we offer numerous high-quality floor cleaning machines . 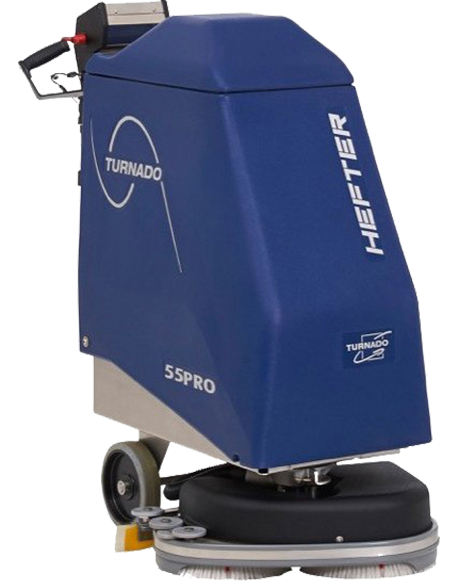 Optimize your cleaning processes by taking advantage of our patented technologies. 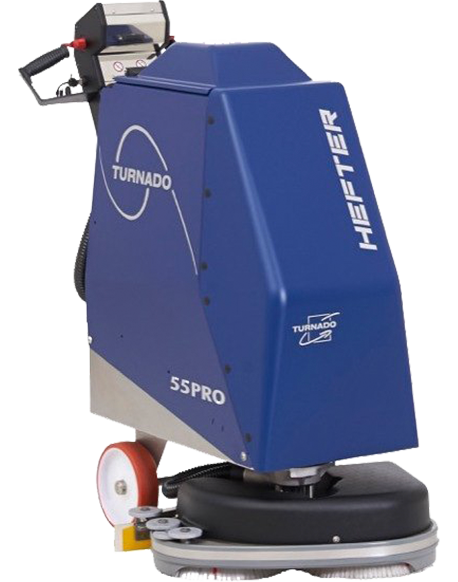 Most of our hand-held machines use TURNADO® technology, which facilitates and improves floor cleaning. 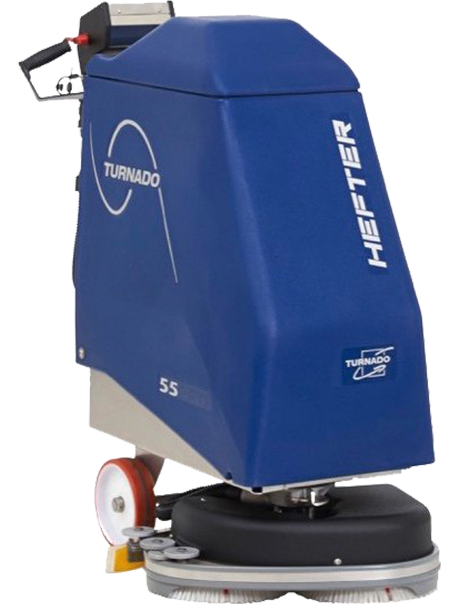 Thanks to this innovation, the respective squeegee, including the scrubbing and suction head, can either be rotated by 200 ° in both directions or even 360 ° endlessly. 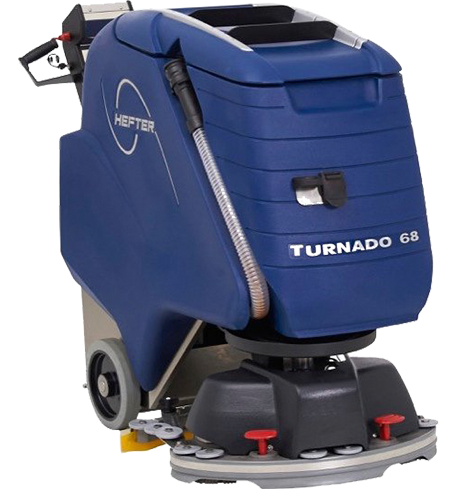 As a result, the scrubber-driers are particularly suitable for use in confined spaces that are angled cut or equipped with various furniture. 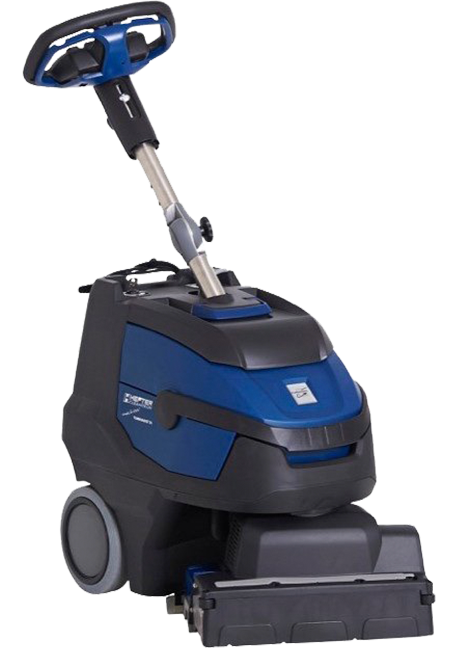 The machines clean in every direction – even when reversing – extremely close to the edges and in the shortest time extremely thoroughly. 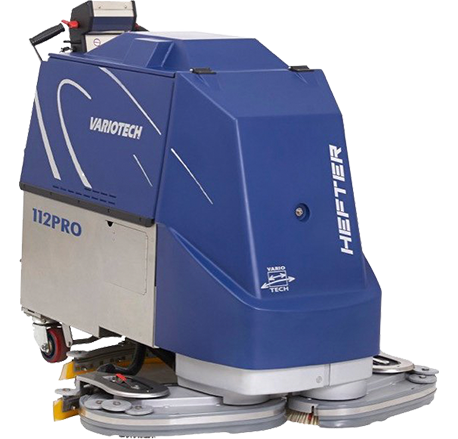 For businesses or facilities where both narrow passages and larger areas are to be thoroughly and quickly cleaned, the user-friendly scrubbing machines with VARIOTECH® technology are suitable. These have flexible cleaning wings that automatically adapt to the premises. The working width is reduced by pressure on the wing and thanks to a return system, the original width is then restored. Working time is reduced considerably. 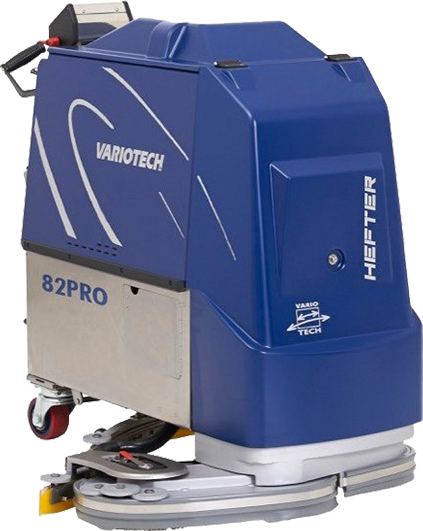 We maintain your hand-held scrubber-driers so you can benefit from, among other things, consistent cleaning quality, less downtime and longer equipment life. We will gladly conclude a maintenance agreement with you that is tailored to your needs: choose the basic, standard or premium service or contact us directly to design an individual service design.